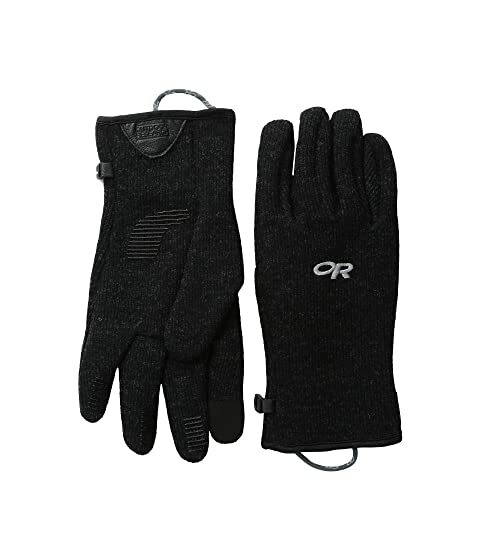 Keep cozy with the Outdoor Research® Flurry Sensor Gloves. Breathable fabrication is lightweight and wicks away moisture. Touchscreen-compatible panels at index finger and thumb. Pull loop at wrist for easy on an off. Tapered fit wears easily under jacket sleeves. Safety clip at wrist for easy storing.